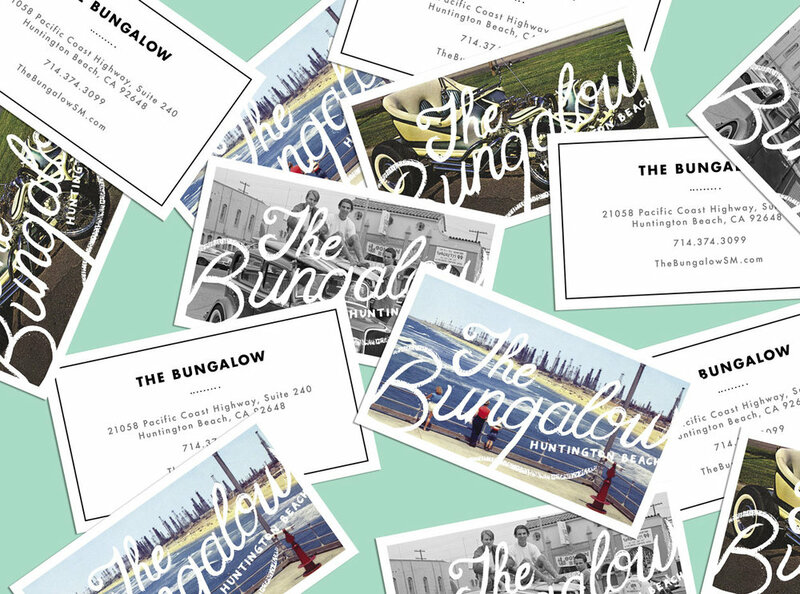 After the massive success of The Bungalow Santa Monica, entrepreneur Brent Bolthouse and partner Jenifer Rosero of Bolthouse Productions sought to expand the brand by bringing the casual, loft-like vibes to sunny Huntington Beach's Pacific Coast Highway. 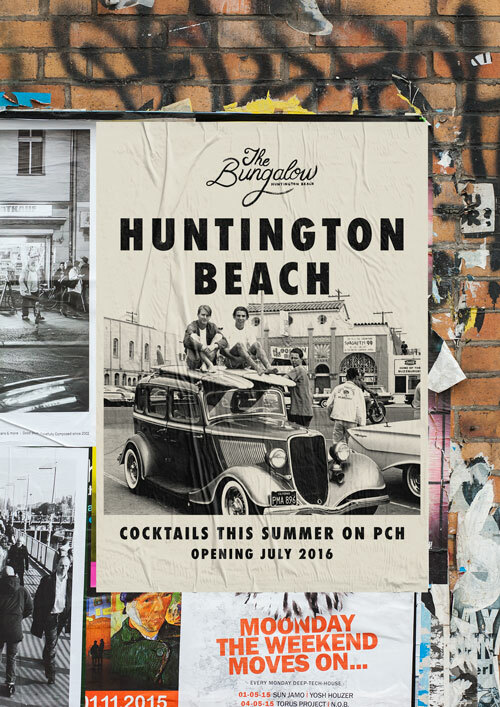 As a nod to the city's vibrant history and surf culture, the branding highlights vintage photography from Huntington Beach’s past lives and retro inspired original illustrations. The brand’s signature color of seafoam green complements the beach’s waters right outside The Bungalow’s patio doors. When visiting, expect to enjoy a signature cocktail, bites from the local Bear Flag Fish Co, or experience an A-list sighting.